Living in London, Ontario: The Definitive Guide will provide you with almost everything you need to know about living in the city of London. 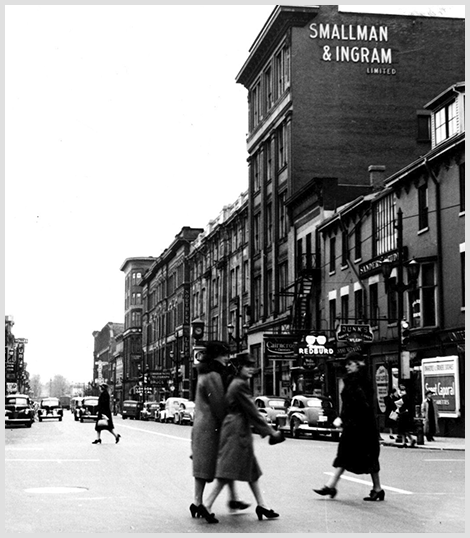 With a vibrant past, the city has grown into a lively and happening place. It’s the perfect location - close to various other big cities and the United States-Canada border. With a fairly mild climate - especially compared to further north - London sees all 4 seasons. It’s the ideal place to call home. And with its diverse culture and community, you can expect London to continue to evolve and grow. This guide will go over where London is located, London’s economy and jobs, where the best places are to live, restaurants and nightlife, education, activities and entertainment, and much more! Is London a possibility for your future home? You’re about to find out. In this chapter, we’ll give you the lay of the land. Literally. This chapter will answer all your questions on location and proximity to other areas. 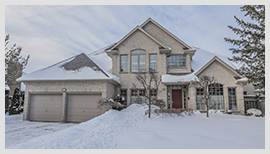 We will highlight where London, Ontario is located and why its precise location offers a multitude of benefits for those looking at London as a potential place to live. In later chapters, we’ll explore the nitty gritty details of the city, such as business, education, where to live, and entertainment. London is located in Southwestern Ontario. It is within the Quebec-Windsor Corridor. Toronto is approximately 200 kilometres away to the south-east. Detroit is approximately the same distance to the south-west. Lake Huron is accessed about 120 kilometres to the south-west, offering tons of fun in the sun. Lake Erie offers similar activities and is located 40 kilometres to the south of London. 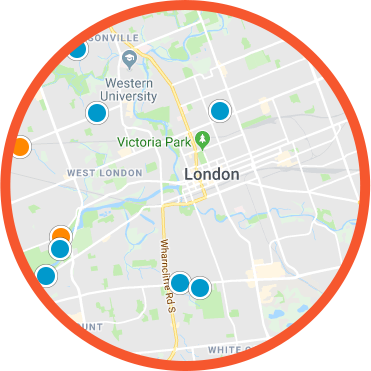 Situated right at the junction of the 401 and 402, London provides easy access to Toronto, Windsor, Sarnia, Detroit, Buffalo, and other surrounding cities. Residents are also able to commute to and from these locations and towns via the airport, train, or bus. Surprisingly, London is the Middlesex County Seat. Yet, it is not part of the county itself. Today, London is the largest Southwestern Ontario Municipality and the nation’s 11th largest metropolitan area. London has everything you need and more. In this chapter, we will give you a general overview of the city vibes, as well as other factors. Are you wondering if living in London, Ontario might be right for you? Wonder no more! WHY DO PEOPLE MOVE TO LONDON, ONTARIO? Big town amenities, small town feel. London offers the best of both worlds. From its hustling and bustling downtown, to quiet parks and neighbourhoods, there really is something for everyone in London. With plenty of business opportunity, London's economic scene is the ideal place for startups, small businesses and large enterprises alike. Its central location allows for easy access to larger cities and small towns. It is further home to an abundance of entertainment, activities, arts, culture, parks, nightlife and restaurants proving there is something for everyone. In other words, it is a growing and diverse city with a vibrant community. It’s ever-changing and ever-expanding. What more would you want? WHAT ARE LONDON, ONTARIO'S ORIGINS? The city has a rich history. It’s historic past has roots in indigenous people’s past. In fact, their history dates back to thousands of years ago - before London was settled by incoming foreigners. The area used to be home to Neutral, Odawa, and Ojibwe villages. Lieutenant-Governor John Graves Simcoe founded the city in 1826. The city of London was originally planned to be the site of the capital of Upper Canada Village. But instead, it became more of administrative seat to the what is now Toronto. The first government buildings were built under the lead of Colonel Thomas Talbot. Through Talbot, roads and various other buildings were also constructed. A notable point in history was the fire that swept through the city in 1845. 1/5th of the city was destroyed in the fire. It was on January 1, 1855 that London officially became a city. Factories, banks, churches, newspapers, and other businesses and buildings arose. And from there, the city grew to what it is today. Are you ready? It’s time to discover London in all its glory. Is this the right place for you? What will living in London, Ontario look like? Keep on reading! London’s growth is primarily driven by the manufacturing industry. Yet, the 2009 economic punch delivered a blow to this booming industry. As a result, London experienced a transition from a manufacturing hub to a technology centre. Due to this change, the city’s growth has slowed in recent years. But it is still on an upward swing. In this chapter, we’ll take a closer look at what draws people to London for employment opportunities and more. 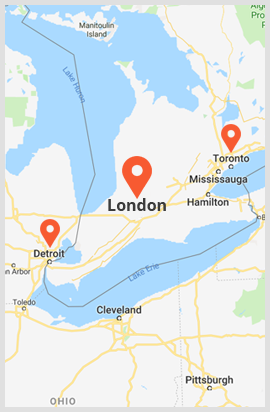 WHERE CAN YOU EXPECT TO FIND WORK IN LONDON, ONTARIO? London is a diverse city with plenty of different career options. 10 of London’s businesses even made the 2017 Profit 500 list. From digital marketing, and video games, to online human resources, the variety in employment opportunities is evident. Further, there’s big name educational, healthcare, and financial businesses located in London. The average individual salary in London is $47,000. According to payscale.com, software developers can expect to make about $57,000. Administrative Assistants bring in around $38,000. HR Managers can expect to make an average of $64,000 per year. Law Clerks have an average income in London of $41,000. Operations and Project Managers make about $60,000 or more per year. And Web Developers pull in over $40,000 individually every year. These are some of the most common jobs, but don’t fret - you aren’t restricted to these industries. Your job hunt can even start before you make the big move - simply check out online job postings and get ahead start. HOW DO AVERAGE SALARIES COMPARE TO THE COST OF LIVING? Unlike other housing markets, London is an affordable place to live - especially when compared to bigger cities like Toronto and Ottawa. The average home price rings in at $387,859, up from 11.2% from last January. In Toronto, this price is doubled and you can expect to pay on average $800,000 for a house. Excluding rent or mortgage payments, an individual’s average monthly costs living in London are about $900. If we add in about $1,300 for rent or mortgage payments, that comes to about $2,200, which is entirely affordable on a $47,000 salary or more - or with a double income household of about $60,000 to $100,000. WHAT ABOUT STARTUPS IN LONDON, ONTARIO? As aforementioned, London is home to many technology companies and businesses. As such, it’s often referred to as a startup haven. You don’t have the tough competition like you do in San Francisco and other big tech cities. And your cost of living isn’t over the top or unaffordable. Starting up a company? London could be the perfect spot to situate yourself and your company’s headquarters. The top educational facilities in the area also drive new ventures and creative business strategies and plans. In the next chapter, we’ll discuss the education options in London and explore why many families and post-secondary students flock to this region. Started in London, Ontario, Diply is among the top 500 most popular websites in Canada, and top 300 in the world. In London, education is a top priority to residents. From pre-school to post secondary education, London’s education system aims to develop and grow minds. French immersion, Montessori, School for the Arts and both public and catholic school boards are all available for those who call London home. Considering it’s vast business landscape, this city values knowledge and growth. In this chapter we will lay out the different schooling options and what post-secondary facilities have to offer. WHAT ARE THE MAIN SCHOOL BOARDS IN LONDON? There are 4 main school boards in the city. The Thames Valley District School Board has 184 schools located in and around London. These schools include 154 elementary schools and 30 secondary schools. The Thames Valley District School Board takes pride in its motto, “We build each student’s tomorrow, every day.” And the top ranking academic school in the province, London Central Secondary School, is part of the Thames Valley District School Board. There is also the London District Catholic School Board. With over 20,000 students enrolled, the board has 45 elementary schools and 9 secondary schools. The 2 French school boards include the Conseil scolaire Viamonde and the Conseil scolaire catholique Providence (CSC). In the Conseil scolaire Viamonde, there are 39 elementary schools and 14 high schools. Further, 20 private schools are scattered throughout the city - offering parents and kids an array of educational options. WHAT ARE THE POST-SECONDARY OPTIONS IN LONDON, ONTARIO? The main two post-secondary schools in London are the University of Western Ontario and Fanshawe College. The University of Western Ontario, often called Western University, was established in 1878. It’s known for its research facility (and is part of the U15 - a group of Canadian research facilities) and beautiful campus. The campus is sprawled across 455 hectares and is surrounded by residential areas, as well as the Thames River. Yearly, the school is home to over 30 000 undergrads and just over 5000 post-grads. The University is recognized as one of the top schools in the country. It has various student housing and has 11 facilities. Fanshawe College, formally known as Fanshawe College of Applied Arts and Technology, is one of the biggest colleges in Canada. The college offers over 200 programs to its 43 000 students. 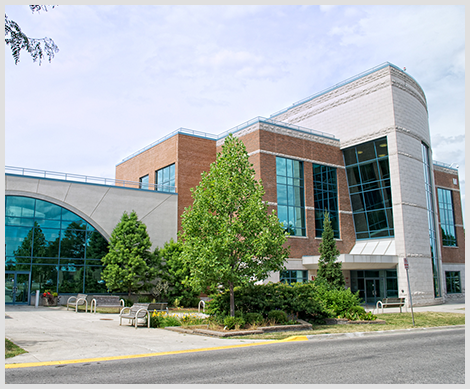 The college further has various campus locations - including the London campus, the downtown London campus, the St. Thomas campus, the Simcoe Campus, the Woodstock Campus, and the Huron Campus. Both schools have athletic programs and teams - which are major events for students and residents alike. Fanshawe College is one of the largest colleges in Canada having campuses in London, Simcoe, St. Thomas and Woodstock. WHAT KIND OF EDUCATIONAL RESOURCES ARE AVAILABLE IN LONDON? There is the London Public Library, which is available to everyone. The library hosts seminars and activities at different branches in the city. As well, the public library system has plenty of resources for conducting research. The City of London further offers educational opportunities and programs through its Recreational Service Department. These programs include aquatics, skating, leadership, baseball, day camps, golf, and more. You and your family won’t have to look far for exceptional institutions and top educational facilities. London is regarded as one of the best places in the country and the province for learning, as well as personal growth and development. 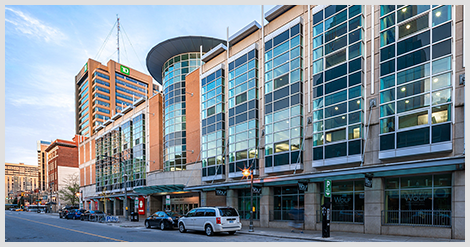 London, Ontario offers no shortage for communities and neighbourhoods that offer their own unique advantages. In this chapter, we will explore the different areas and help guide you in finding the right place for you and your lifestyle. We are all on different walks in life, however, London has a place for everyone to call home. WHAT ARE THE BEST NEIGHBOURHOODS IN LONDON, ONTARIO? London isn’t short on great neighbourhoods and locations. Many residential spots offer easy access to amenities and more - all of which you’ll want to take into consideration when deciding where to live. Byron is situated in Southwest London close to the Thames River. It’s home to many middle-income families. You can find condominiums and single standing family homes in the area. The average home costs about $315,000, while most residents report an income of $70,000. WHAT MAKES BYRON A DESIRABLE SPOT TO LIVE? 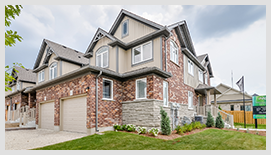 The neighbourhood has a variety of options for schools, and all the amenities you need close by. It also has some of the best entertainment options and activities around town. Byron has Springbank Park, Boler Mountain, and much more. River Bend isn’t far from Byron. This neighbourhood is in the northwest area of London. A fairly newer neighbourhood, River Bend is bordered by the beautiful Thames River. Arguably, it’s one of the most sought-after and up and coming neighbourhoods in London. However, it is one of the more expensive places to live in the city. Homes on average cost about $600,000. WHAT MAKES RIVER BEND A DESIRABLE SPOT TO LIVE? There are a ton of schools around the region. Further, it is conveniently close to Hyde Park Plaza and other stores. There is an 18-hole golf course and the Kains Woods Environmentally Significant Area featuring trails and wildlife for nature enthusiasts. Komoka Provincial Park is also close by. The park offers a variety of activities such as camping, snowshoeing, and horseback riding. Summerside is another new neighbourhood in London. Located in the southeast, a single-family home costs about $315,000 - making it an affordable and convenient option for many individuals and families. WHAT MAKES SUMMERSIDE A DESIRABLE SPOT TO LIVE? Again, there are many schools to choose from. Summerside also has access to Meadowlily Woods Environmentally Significant area, as well as an abundance of parks and trails. You can also find amenities close by just off of Commissioners Road. Oakridge is one of the older neighbourhoods in London. Located to the west, it is known for its older and traditional homes and buildings. Yet, this does come at a higher cost. The average home price is listed at $430,000. WHAT MAKES OAKRIDGE A DESIRABLE SPOT TO LIVE? Oakridge has everything - schools, stores, parks, green space, golf courses, and so much more. It’s been around for awhile meaning everything is already there. It’s also located close to the Thames River - which is often desirable for many families or individuals that move to London. Do you like the vibes of a small town? Lambeth might be the right location in London for you. The neighbourhood is located in the southwest area and holds a quaint and charming atmosphere that attracts many people to it. It has older homes - but new developments are also underway in the neighbourhood. A home on average costs $375,000 to $400,000 in Lambeth. WHAT MAKES LAMBETH A DESIRABLE SPOT TO LIVE? If the small town feels haven’t convinced you, there’s also everything you need nearby or within the neighbourhood itself. There’s stores aplenty. And Lambeth even hosts its own harvest festival every year. In North London, over 7000 residents call Stoneybrook home. 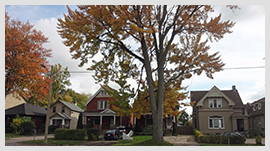 It’s considered a family neighbourhood and is relatively quiet compared to other areas. Many of the homes were built throughout the 1980s. 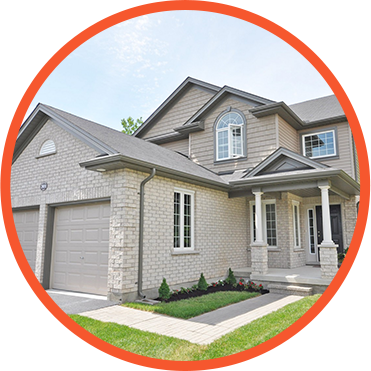 However, the lots offer larger yards than many other spots in London. Although, you can expect to pay anywhere from $350,000 for a home to $800,000. WHAT MAKES STONEYBROOK A DESIRABLE SPOT TO LIVE? You can easily walk to Masonville Mall or the Stoneybrook Shopping Centre. There are also great outdoor spots and trails. The schools include Stoneybrook Public School, St. Kateri Catholic School, and more. If you’re a dog-lover, the area has many dog parks that offer off-lease sections. How do you decide which area is best for you and your family? What are your priorities? 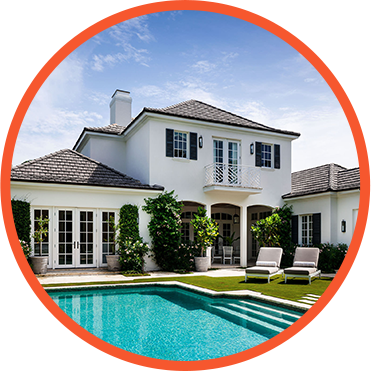 Compare your lifestyle (and budgets) to the above areas. And you aren’t restricted to just these options. There are rentals in and around London. As well - especially for young professionals - the downtown hub may prove to be a more enticing option. The City of London has a direct advantage when it comes to location. Falling between Toronto and the US border along one of North America’s major highway has made London prime area for those who travel. Offering via rail and an international airport allows Londoners ease of travel outside of the city. As far as inner city travel goes, London Transportation system will have you covered. This chapter will provide information regarding transit and traffic patterns. WHAT PUBLIC TRANSPORTATION IS AVAILABLE IN LONDON, ONTARIO? Streetcars used to run through London. In the past, it was the best way to get around. 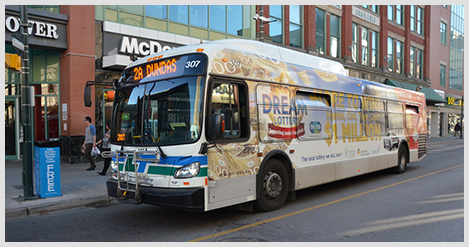 Today, there are over 44 bus routes run by the London Transit Commission. Currently, busing is the only public transportation readily available in London. However, the city did approve a new bus rapid transit network called Shift. WHAT IS THE COST OF THE BUSING SYSTEM IN LONDON? Regular fare is $2.75 per trip. Monthly passes and senior discounts are also available. Tickets and passes can be purchased at the downtown ticket office (150 Dundas St.), main ticket office (450 Highbury Ave.), and City Hall (300 Dufferin Ave.) as well other stores and shops around London. For a full list, visit a Guide To London transit. The London Transit website has all the information you need on pricing, locations, transfers, and more. 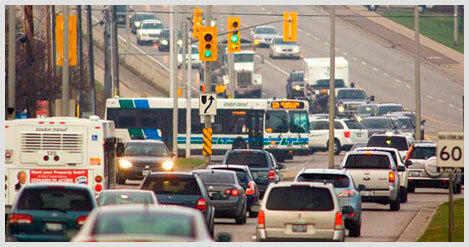 WHAT IS TRAFFIC LIKE IN LONDON, ONTARIO? Like most cities, there is rush hour traffic in London. However, you won’t face quite the same congestion as you would see in Toronto or other bigger cities. Wellington Road between Commissioners Road E and Southdale Road E is London's most traveled section of roadway carrying 48,000 vehicles per day, according to London.ca. By using the interactive map on the city's website, you can view traffic flow volumes throughout the city. For a live traffic report, check out Global News - London Traffic. WHAT OTHER WAYS ARE THERE TO GET AROUND THE CITY? 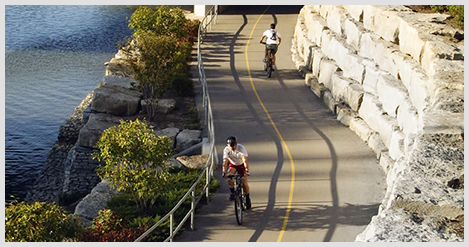 There are over 330 km of cycling trails and paths. In an effort to make cycling more convenient for locals, London introduced bike corrals for parking and maintenance. If your destination is nearby, walking is also a option and there are many pedestrian friendly trails and sidewalks. WHAT ABOUT COMMUTING TO OTHER CITIES OUTSIDE OF LONDON, ONTARIO? Train and bus are the best options to access nearby towns and cities. 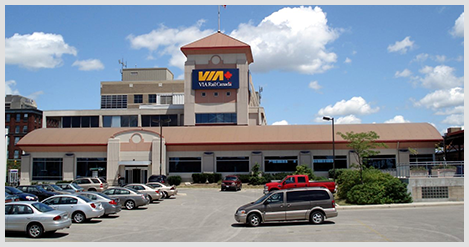 The Canadian National Railway, the Canadian Pacific Railway, and Via Rail offer train services. Greyhound is the main bus company used. London also has its own international airport. With a diverse community, London promises a variety in cuisine and dining. In this chapter, we’ll explore London’s sophisticated and fun nightlife and restaurants. WHERE ARE THE BEST PLACES TO EAT IN LONDON, ONTARIO? London does not disappoint in the culinary realm. In fact, it could be considered any foodie’s food haven. From ethnic varieties to fine dining, London has it all. Your palette won’t get bored with the option to check out a new restaurant almost every week of the year. Influenced by European style food, David’s Bistro continues to stay at the top of London’s food industry. Opened in 1998, the Bistro draws from French cuisine - but with more variety. It’s open 7 nights a week and is worth a visit. It’s also a favourite for many wine lovers. Looking for a healthy lunch option? Plant Matter Kitchen is your destination. This restaurant serves up organic and vegan meals and juices. They also have a variety of draft brews. Make sure to make a reservation - this isn’t one spot you’ll want to skip. Another bistro and wine bar, Waldo’s on King provides globally and Canadian inspired dishes. Make sure to order up a cocktail, and settle in for a fun and relaxing evening. Want to catch up with old friends? Waldo’s on King is the perfect restaurant to do just that. The best Vietnamese food in London is found at Tamarine by Quynh Nhi. Don’t feel like dining in? Simply grab some takeout and go. Enjoy pho dishes or other traditional Vietnamese cuisine in Tamarine’s humble and friendly atmosphere. Are you more of a pizza fend? Tuscanos Pizzeria and Bistro makes authentic Italian pizza and dishes. Close to Fanshawe College, there is also a variety of wine options available. Ask your waiter what goes best with your ordered dish! WHAT IS NIGHTLIFE LIKE IN LONDON, ONTARIO? With Western University and Fanshawe College, London has a surprisingly active nightlife. Locals flock to The Black Pearl Pub, Tiger Jack’s Bar and Grill, The Richmond Tavern, Call the Office, and much more. If you’re looking for dancing opportunities, The Roxbury Bar and Grill, Club Mansion, The Barking Frog, Up on Carling, Cowboys Ranch, and Call the Office are ideal options. You won’t run out of places to check out in the downtown core. For those interested in any one of London’s entertainment options will want to make special note of this chapter. We run through all the events and venues making sure that there is something to do on any given day! Forget New York, London is the city that never sleeps! WHAT ANNUAL EVENTS TAKE PLACE IN LONDON, ONTARIO? Sunfest: It takes places in Victoria Park usually over Canada Day Weekend. Expect an array of Canadian music, food, art, and more. 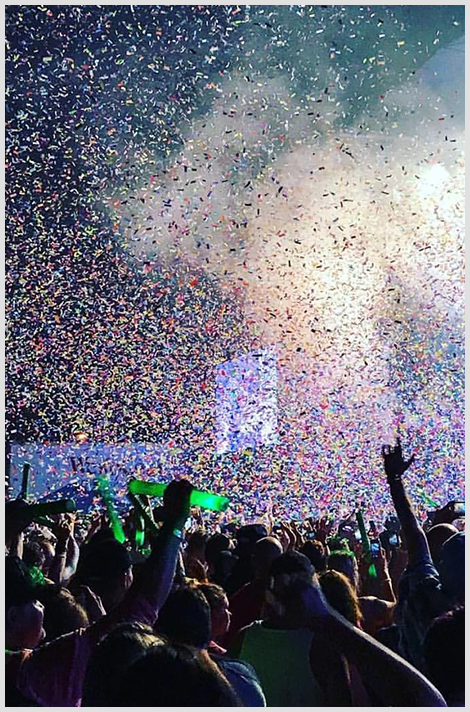 It’s the second biggest music festival in Canada. Home County Folkfest: This music festival is also held in Victoria Park in July. London Fringe Theatre Festival: This festival runs for 10 days in June and hosts an array of arts performances and talents. Expression in Chalk Street Painting Festival: The art of street painting takes over. Go for a stroll and take in the local talent. Rock the Park: This big music festival is held every year in Harris Park - typi cally in later July. Western Fair: This fair has been running since 1868. With various food vendors, games, rides, and much more, it offers something that the whole family can enjoy. The London Ribfest: Take in the second largest ribfest in North America. The International Food Festival: Are you a self-proclaimed foodie? Indulge in all the cuisine and more at the food festival every year in London. Pride London Festival: It is the 11th pride festival in Ontario. But don’t worry - there’s more! WHAT WINTER ACTIVITIES ARE THERE IN LONDON, ONTARIO? If you enjoy hitting the slopes, London’s got it! Boler Mountain offers skiing and snowboarding activities for all. You can also grab a pair of snowshoes and explore London’s many trails (a lot of them are snowshoe friendly!). Or throw on a pair of skates and check out the many public skating times at the arenas across the city. The Forest City Velodrome is also a great place to check out for indoor cycling practice (or just ‘cause) throughout those winter months. WHAT DO PEOPLE DO IN THE SUMMER IN LONDON, ONTARIO? The summer is filled with festivals. There are events and activities happening on any given weekend. In addition, Boler Mountain transforms into a zip line and treetop adventure park for the daredevil in you. You can also check out provincial parks around the area - or more local outdoor spaces throughout the city. There’s no shortage of trails and protected wildlife areas to explore. If you’re an avid golfer, London is the perfect spot to call home. 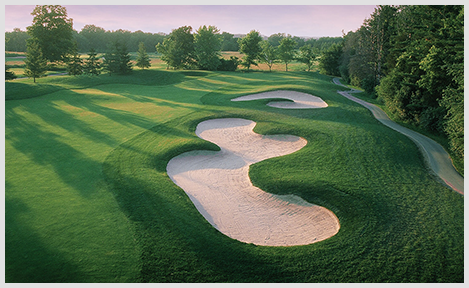 There’s a variety of golf courses with clubhouses and restaurants galore. WHAT KIND OF MUSEUMS ARE LOCATED IN LONDON, ONTARIO? There are a ton of museums in the city. There’s the Museum London, the Museum of Ontario Archeology, The Royal Canadian Regiment Museum, Secrets of Radar Museum, London Regional Children’s Museum, Canadian Medical Hall of Fame, and an array of heritage sites and buildings. Remember, London’s been around for over a century! ARE THERE ART AND CULTURE EVENTS TO TAKE IN? Whether taking in a Knights games with the family or enjoying your favourite band, there are always events happening at Budweiser Gardens. Further, arts and culture festivals take place throughout the year and it’s worth keeping an eye out for when and where these take place. You can also check out local art galleries in the area. London has a creative art scene that’s worth checking out. 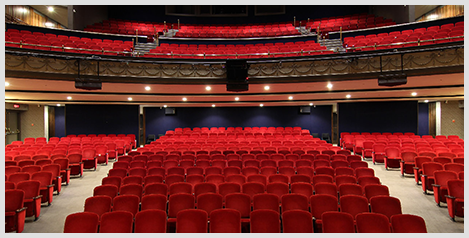 The Grand Theatre offers a wide-range of artistic performances. There’s also the Palace Theatre and the Spriet Family Theatre. Something is always happening in this town! WHERE DO YOU WANT TO LIVE? COULD YOU CALL LONDON, ONTARIO HOME? We hope you enjoyed our Living in London, Ontario: The Definitive Guide. If you’d like to learn more or have any concerns or questions, please don’t hesitate to contact us.